Bright, small paper clips hold paper securely and aid in color-coding files. Each clip is rust-resistant and vinyl-coated. 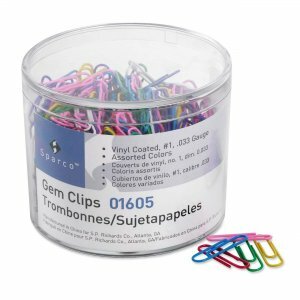 Paper clips come in assorted colors.